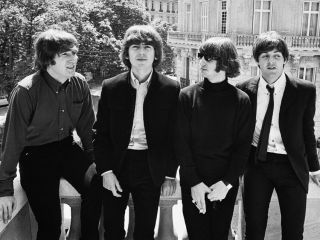 The Beatles' entire catalogue is available digitally- for now, it seems - on a US-based website called BlueBeat.com, with individual tracks going for 25 cents (15p) each. The website is also streaming the recently remastered albums in their entirely, allowing listeners to listen to them for free. All of which is rather strange and shocking news to EMI and Apple Corps, who have fiercely blocked the online sale of all Beatles music. So how can this be? Did Apple Corps or EMI grant BlueBeat.com permission to sell and stream The Beatles' music? So how, then, is BlueBeat.com offering The Beatles' catalogue digitally? That's the multi-million-dollar question being asked right now. And one lawyers are no doubt addressing.